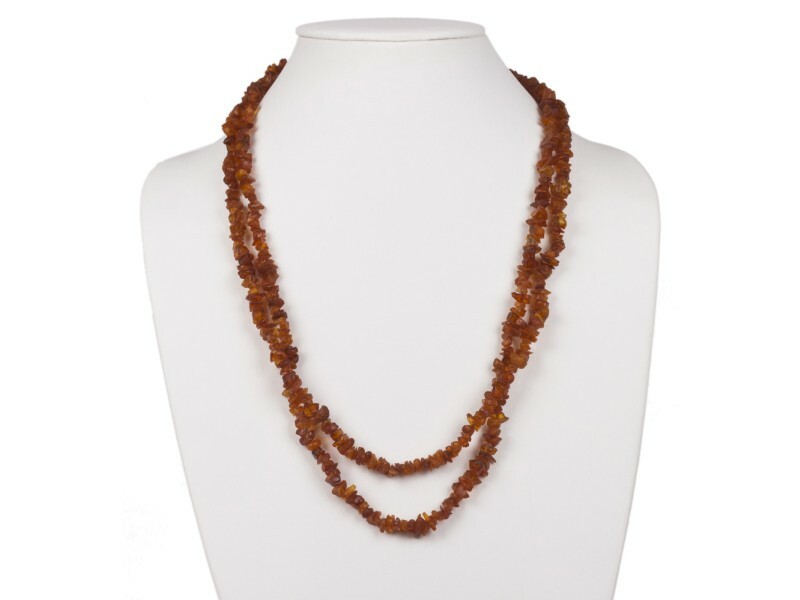 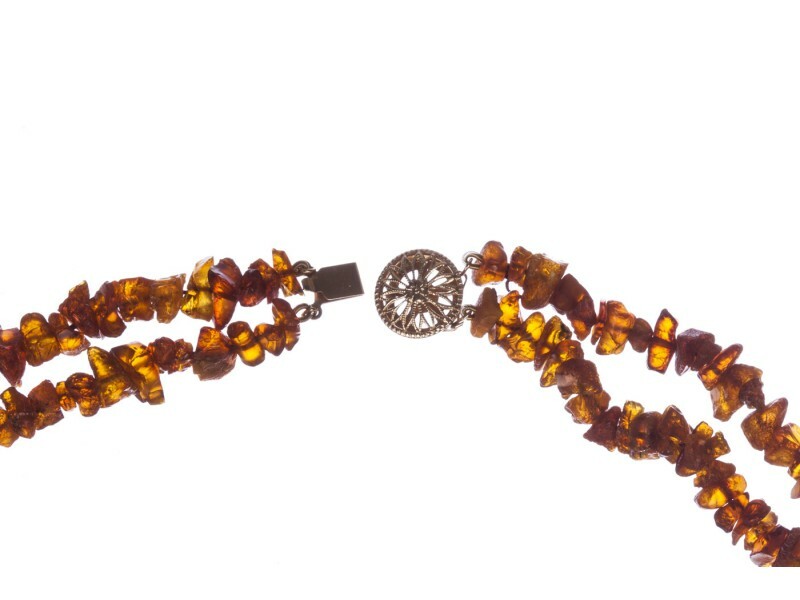 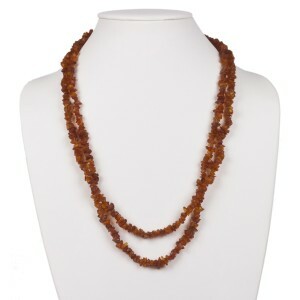 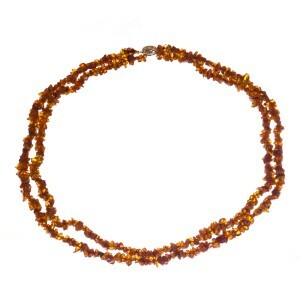 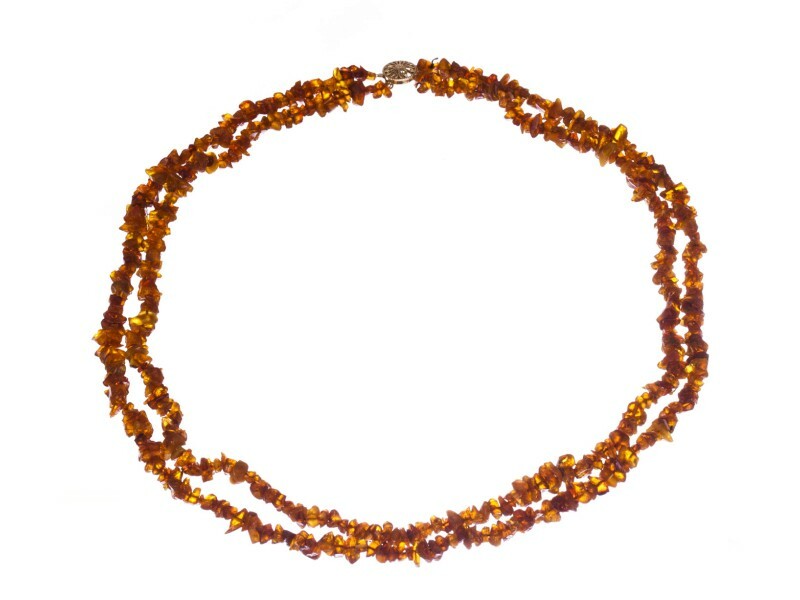 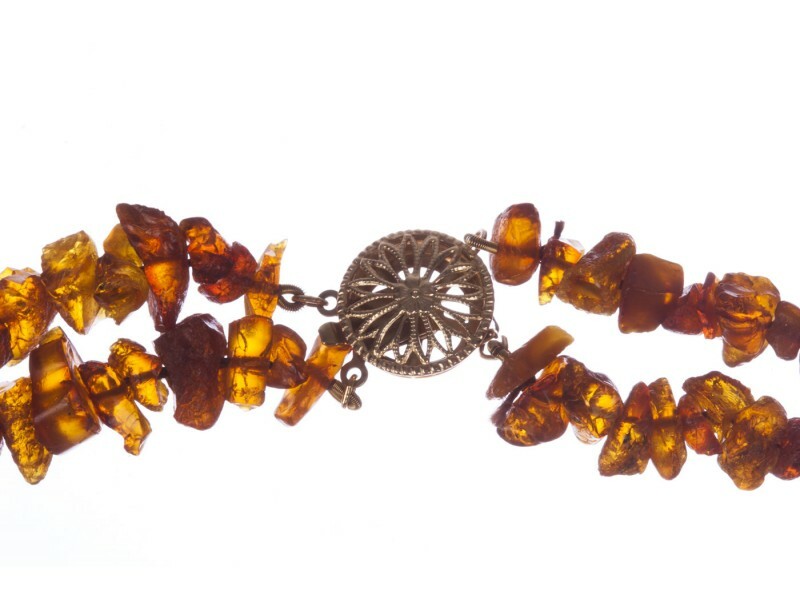 Two strands of Baltic amber chip beads with a sterling silver filigree clasp. 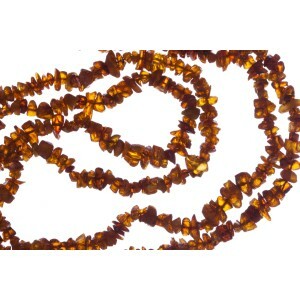 Necklace measures, 25 1/2” long. 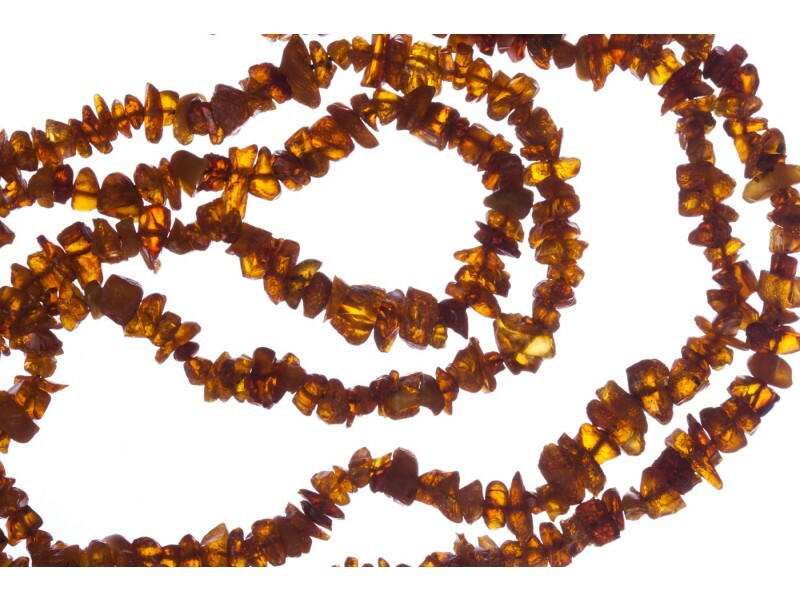 Each strand is approximately ¼” to 3/8” wide. 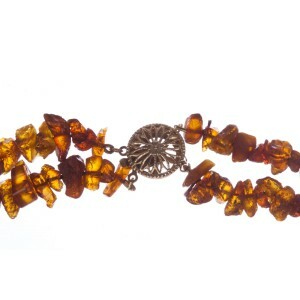 Closes with sterling silver filigree box clasp.